May 2, 2012 Adri H.
The color-work motif is inspired by the curls and diamonds on the archways and walls of The Alhambra Palace in Spain. The Alhambra Hat is a beanie that begins with a ribbed brim. Choose your own adventure and create a 4”/ 10cm ribbed brim turned up once halfway or a 6”/ 15cm brim that’s folded double. 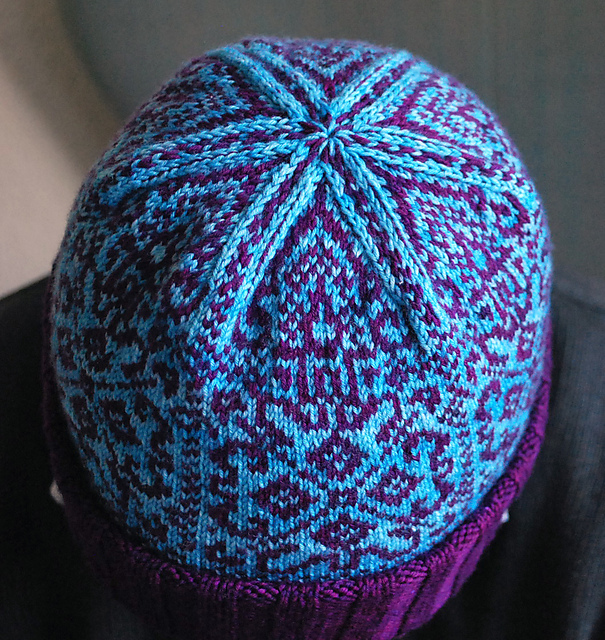 After the ribbed brim is complete, a fair-isle motif covers the main part of the hat decreasing to a point at the top of the hat. 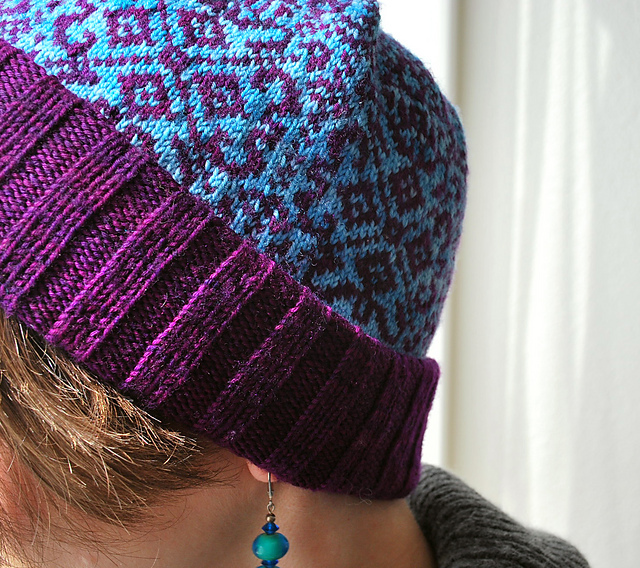 This project is suitable for the adventurous fair-isle beginner! This particular prototype is modeled on a 22" head and features a 6" brim folded double. It was knit with Wollmeise 100% Sock Yarn. The blue is a color I dyed myself from a Wollmeise 100% Natur as the base. The purple is Fliederbusch. The pattern is now available on Ravelry. Yay!